Does your hearing loss keep you from enjoying plays and movies? Our November meeting will focus on hearing accessibility in movie theaters and playhouses. Enjoy date nights, movies and plays again. Non-Residents must RSVP 5 days before the meeting date. (November 9, 2018) for gate access to Laguna Woods Village. Members sign-in and pick up your name tag at the name tag table. No charge to attend meetings. Donations are always appreciated. 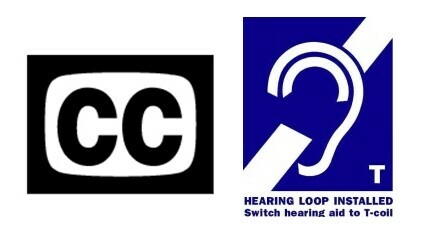 Meetings are Captioned and Looped for those with telecoil-equipped hearing aids and cochlear implants. This entry was posted in Cochlear Implants, deaf, Hearing Aids, hearing loop, Hearing Loss, Hearing Well, Meeting Notice, Meeting Schedule, T-coils, Telecoils. Bookmark the permalink.